School Psychologist, Level II or III Certification. A Tradition of Excellence defines Anderson School District One! Located in the northern region of Anderson County, Anderson School District One’s surrounding communities include Powdersville, Piedmont, Pelzer and Williamston. Anderson School District One is composed of three high schools, three middle schools, seven elementary schools and one primary school. Anderson School District One is a perfect sized district with 10,000 students and a very supportive parent population. Anderson School District One provides an outstanding academic program for all students while focusing on the social and emotional needs of our students in a safe and caring environment. 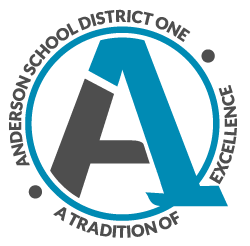 Anderson School District One is committed to excellence by providing world class knowledge, skills and life characteristics based on the individual needs of each student. Opportunities for students in athletics, the arts, service and many other areas are provided. Anderson School District One has a strong support system for all teachers and offers a variety of professional growth opportunities.